Item # 313643 Stash Points: 1,495 (?) This is the number of points you get in The Zumiez Stash for purchasing this item. Stash points are redeemable for exclusive rewards only available to Zumiez Stash members. To redeem your points check out the rewards catalog on thestash.zumiez.com. 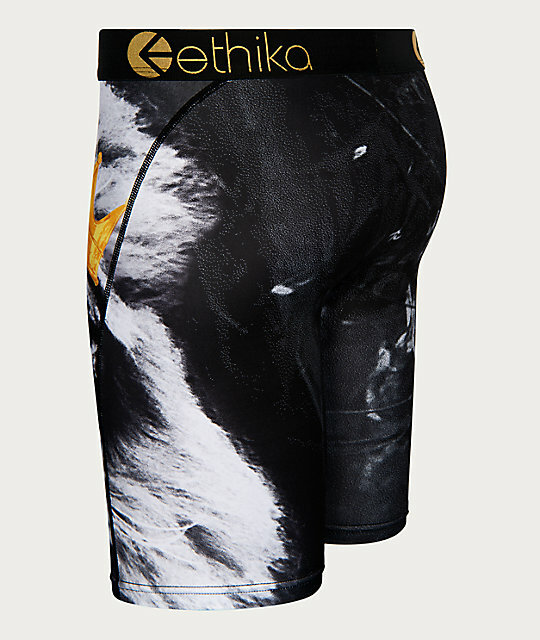 Get a fiercely comfortable pair of underwear with the Ethika Boys Lion King Boxer Briefs. With no-rise legs and flatlock stitching for comfort, these boxers additionally come complete with sublimated graphics throughout of a lion in a crown for a fun look. 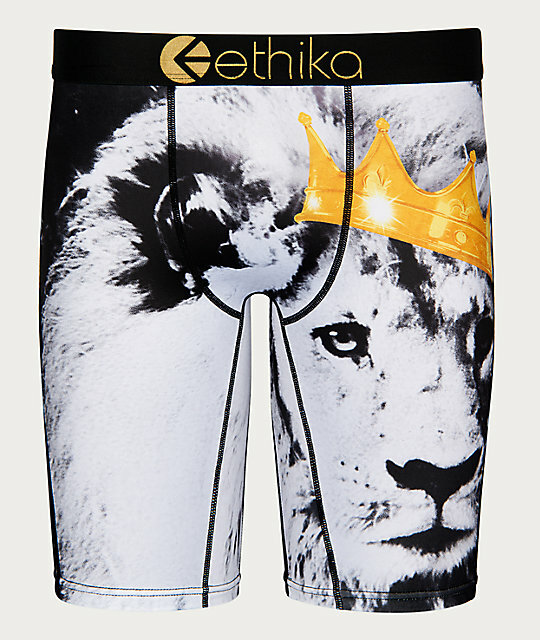 Boys Lion King Boxer Briefs from Ethika. Thick elastic waistband with brand logo.